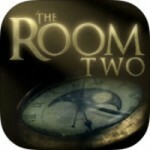 Part of the lasting appeal comes from The Room Two’s eerie ambiance. Its haunting audio makes you feel like you are not alone in your isolation; I was constantly spinning around the room looking for a ghost or some other unspeakable horror. As much as I loved the first game, I never got a clear idea why I was trying to open the puzzle box in front of me. The Room Two's story is a little more involved. You begin the game in a strange room with no clue who you are or how you got there, but as you explore your environment, you discover old notes and letters from someone named A.S., who came before you and set up these elaborate contraptions after uncovering the secrets of a strange new element called Null. I wish the story got fleshed out a little more by the end of the game, but there are still enough threads throughout the experience to keep you invested in your journey. horror vibe, even though you spend most of your time solving puzzles.